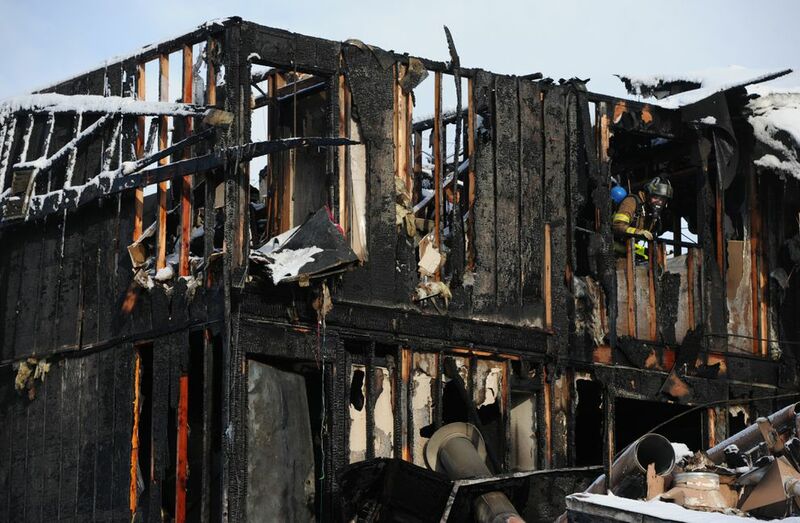 Two people died, 16 were injured and dozens were displaced in a fast-spreading fire early Wednesday at a Spenard apartment complex. 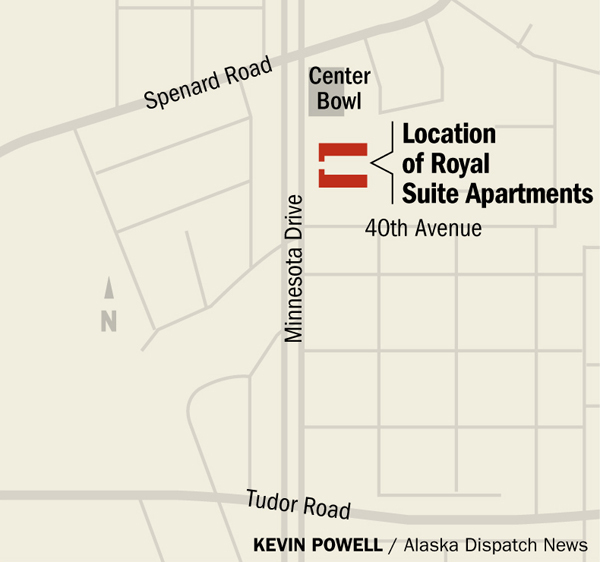 Witnesses saw people jumping from third-floor windows of the Royal Suite Apartments, at 3811 Minnesota Drive, and heard screaming. "I had maybe a minute and 15 seconds to get out," resident Brieanna Brooks said. "I was literally starting to asphyxiate from the smoke." 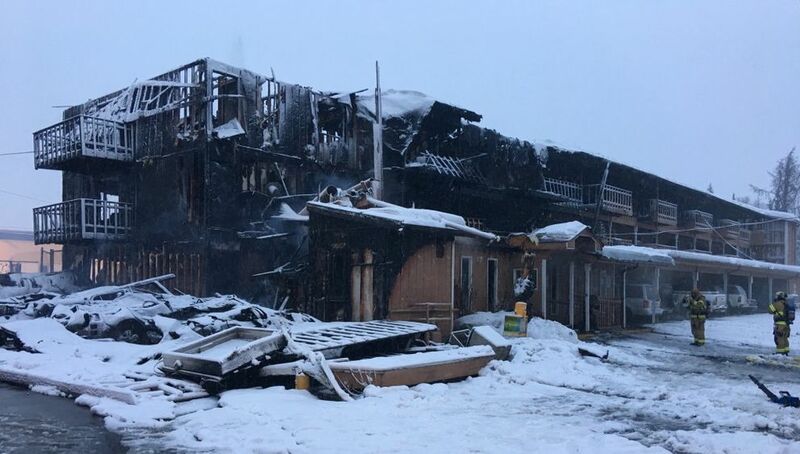 Jodie Hettrick, Anchorage Fire Department operations chief, said crews received multiple calls at about 2:20 a.m. reporting the fire, in the northern building of the two-building complex. "By the time crews got on scene, the entire front of the building was engulfed in flames," Hettrick said. Two people were confirmed dead at the scene and an additional 16 were injured, according to an AFD statement. Unstable parts of the structure have not been searched, and officials cautioned that additional victims may be found. "The majority of transported patients were adults and in serious or stable conditions; four adults were triaged by AFD personnel to be in critical condition," AFD staff wrote. "Four children were transported, two of which were in serious condition." Anchorage's three major hospitals declined to give updates on patients' conditions without names, but two of them confirmed the number of individuals brought to the hospitals for treatment. The Alaska Native Medical Center received three people, all of whom had been released by Wednesday night, said Michelle Weston, public relations director. Alaska Regional Hospital initially took in five of the tenants, said spokesperson Kjerstin Lastufka. One person was admitted, three were discharged and the remaining patient was flown to a specialty burn hospital out of state, Lastufka said. 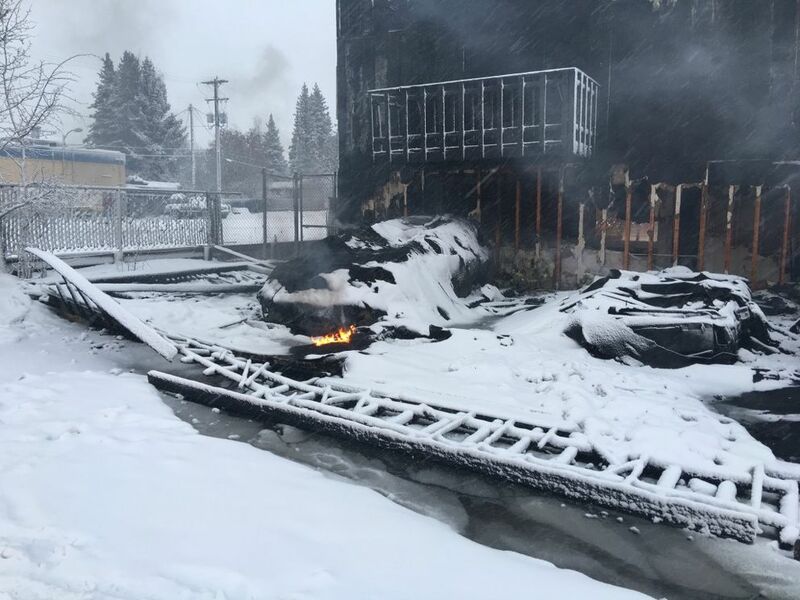 Fire Chief Dennis LeBlanc said an investigator suspects the fire started in an attached carport on the front side of the building facing Minnesota, but the exact origin and cause has not been determined. "That's based upon a 911 caller saying that the fire was in an automobile," the chief said. "It's part of the suspicion as that's what we were told, though we have no proof so far." But if the fire started outside that would explain why it was well advanced by the time responders arrived, he said. Anchorage Police Department spokesperson Renee Oistad identified one of the deceased as 38-year-old Teuaililo G. Nua. Her body was taken to the State Medical Examiner's Office for determination of the cause of death. Trey Watson, Alaska regional manager for private corrections firm The GEO Group, Inc., said Nua had been with the company since 2013. Her colleagues at the Cordova Center halfway house, where she was a case manager, were taking the news of her death hard Wednesday. 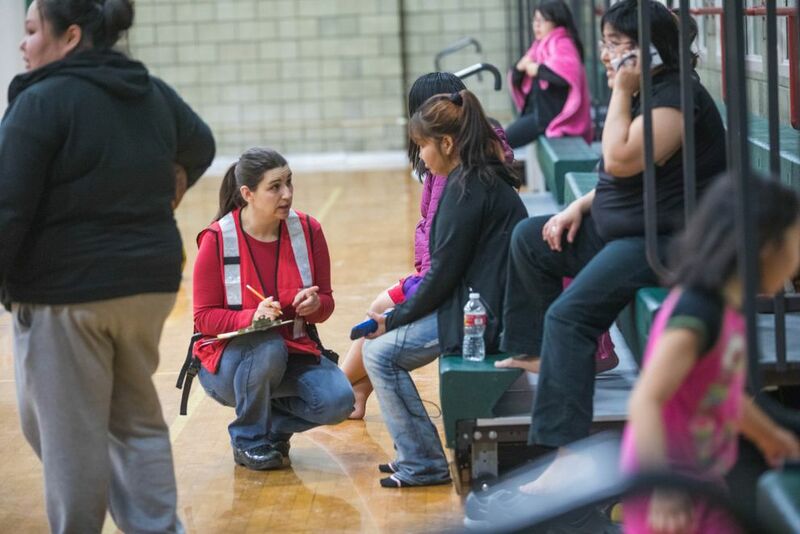 "She had just recently transferred to the Cordova Center, was all excited about her new role," Watson said. "She left here at 8 last night, after her regular shift." Watson said employees were taking up a collection for the Red Cross of Alaska on Nua's behalf. There wasn't any immediate word from police on the identity of the second victim, who was removed from the building around 2:20 p.m., according to LeBlanc. A fire investigator is assessing the structure's stability before entering it to check for any other victims or search for evidence of the fire's cause, LeBlanc said. "Parts of the building are extremely unstable right now and not safe to enter, and we're not going to hurt anybody while we're conducting a search," LeBlanc said. Local officials with the U.S. Bureau of Alcohol, Tobacco, Firearms and Explosives are helping with the investigation and structural assessment, said Hettrick of AFD. A final decision hasn't been made on whether an ATF response team from Seattle will travel to Alaska on Thursday, she said. ATF was brought into the investigation because bystanders reported the fire may have been intentionally set, Hettrick said. When arson is a possible cause, ATF, with its expertise in analyzing chemical traces, is more likely to be involved, Hettrick said. Hettrick said initial responders weren't able to actively fight the fire until they handled the wave of evacuating residents. "When we got on scene and we saw all of the people bailing out of the building and everything, all of our resources went to victim rescue," Hettrick said. "Once we got all those people off to the hospital, then we focused on the fire." Hettrick declined to discuss specific injuries, citing patient privacy concerns. "One fatality was found inside the structure by crews, and the other one evacuated out of the building and then (died) after they evacuated out of the building," Hettrick said. "There were other injuries caused during the evacuation." The fire was brought under control by about 5:15 a.m. Although AFD had ladder trucks at the scene, Hettrick said, the fire's fast spread kept them from being deployed before people jumped from windows. "It was burning pretty intense, and we hesitate to tell people, 'Stay there — we'll get you,' because it takes time to put the ladder up," Hettrick said. "We didn't even have time to tell people to stay there — they were already acting, because that fire was moving very fast." The speed of the fire may have also prevented people from deploying their own fire escape ladders, if one was in the apartment, Hettrick said. Firefighters generally recommend people have at least two escape routes from their homes in case of fire, including escape ladders in apartments higher than ground level for window escapes. Hettrick said she wasn't aware of any damage to the other building in the complex, which is separated from the damaged one by a parking lot. The Red Cross was sheltering about 50 people displaced from the 30-unit building at the recreation center, according to a spokesperson. Brieanna Brooks, who lived alone in a first-floor apartment, said her first instinct when the commotion started was to grab her gun. "Then I heard what sounded like a thousand trash cans being dumped — that was part of the building collapsing in front of my door," Brooks said. "That's when I knew it was something much more serious." Brooks said she saw people jump from apartment windows during the fire. "I saw a guy push his wife out the third-floor window, and then he got his two girls out and then he jumped out," Brooks said. As she fled the building, Brooks said she came across two young girls who had been burned. She put one under each arm, she said, and brought them to safety. "I know the weeks to come, all of us are thinking 10 minutes at a time," she said. Ken Towksjhea Sr., had been living in a two-bedroom, $1,025-per-month apartment at the Royal Suite Lodge for a little more than a year. At the rec center Wednesday afternoon, amid pizza, cookies, muffins and other food and drinks spread out across tables, he nursed a swollen knee, which he said was the result of jumping from his second-story window to elude flames. His brother-in-law, Roy Miller, said he helped two young children who were dropped from a window. "I was ready to walk away until I saw people on the third floor saying, 'Help my baby!'" said Miller, who stayed on-and-off at Towksjhea's apartment, sleeping on the couch. "I said, 'Drop your baby, I'm right here, I'll do my best to catch it,'" he said. "I was right there at the right time." He caught the two young children, he said. Fire crews arrived in minutes, but Bob Thomas credited one of the apartment house managers, Gordon Heinrich, with being instrumental in getting people out. "He knocked on every door, said, get out, this is not a drill," Thomas said. "A week ago they had a false alarm and we thought maybe it was a false alarm." Reached late Wednesday, Heinrich, 70, downplayed his role. An assistant manager at the Royal Suite who lived in the unburned building across a parking lot, said he yelled loudly to make sure people knew the fire was real. "It spread so fast, all I could do was yell at people to run, run, run," he said. "Others were banging on doors, I give others the real credit." One of them was a firefighter. 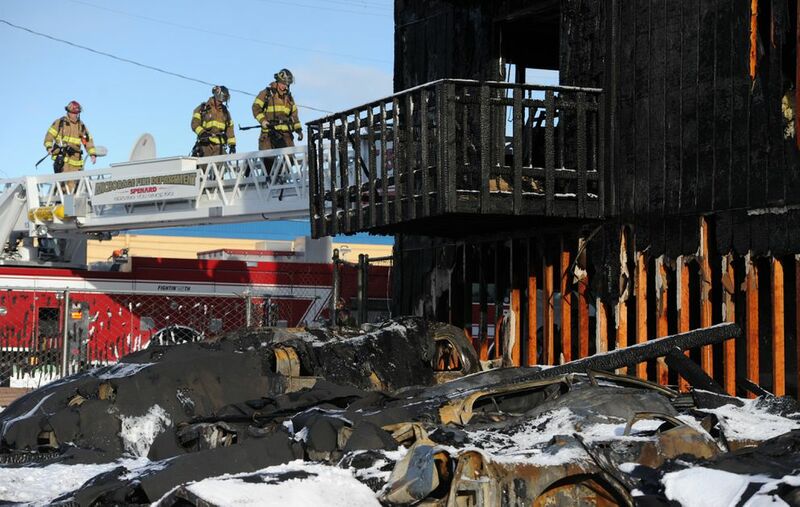 The fire chief said a crew from Anchorage Fire Station 5 was the first to arrive on scene. That group happened to have a second captain along on the call — there is typically a single captain. The senior captain, LeBlanc said, broke away from the crew and entered the building. "He went into the structure and was going from floor to floor and beating on doors and yelling for people to leave," LeBlanc said, adding the captain was the person who pulled the fire alarm when he reached the second floor. On Wednesday morning, the Red Cross was not yet accepting donations of clothing or food for those displaced by the fire. "At this time, the best way to help is through a financial donation," Red Cross staff wrote. "You can call 907-646-5401 to make a donation or text REDCROSS to 90999 to give $10 to American Red Cross Disaster Relief." Hettrick said there have been four other fires at the complex since 2006, all confined to individual units with no injuries reported. "Not one of them was more than a $1,000 (in damage), so they were very minor fires," she said. APD is assisting AFD with an investigation of the fire. Anyone treated and released for fire injuries who hasn't spoken with authorities, as well as anyone with information on the fire, is asked to call police dispatchers at 907-786-8900.